Increasing demand for patient access is an issue for many GP surgeries, ours included. One of the first things I did when coming into post, around three years ago, was to look at using VOIP technology to expand on the 10 ‘phone lines we had available. Serving a population of over 15,000, and with 50-plus staff, we were faced with a situation where patients were trying to call the GP and the ‘phone line was engaged. Since having the VOIP system we can have an unlimited number of ‘phone lines, and I have not heard of one patient complaint about ‘phone access! We knew that we could have switched to more lines using ISDN, but the cost was extremely expensive. 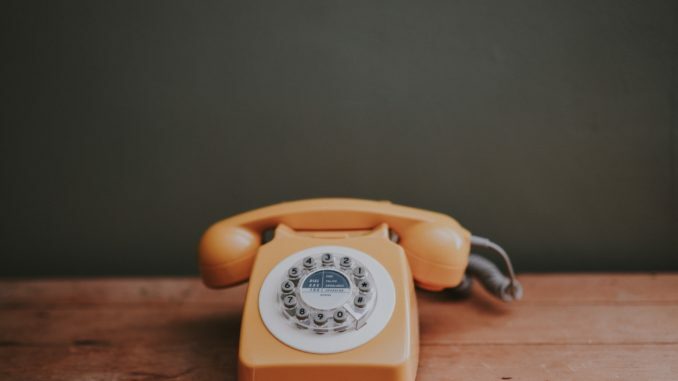 VOIP telephone systems can increase capacity beyond the limits of ISDN – and at a much reduced cost – and we saw that Surgery Connect could deliver such a service. With features built around the needs of general practice, such as EMIS integration, we saw that it could offer multiple benefits across the practice. As a result of the investment, our telephone system is making everyone’s workflow more efficient and effective. Receptionists (or patient services staff, as we call them) now no longer have to go searching through the clinical system when a patient calls in. Thanks to its EMIS integration, the system recognises the caller’s number and a popup with patient details appears on their screen. After asking a few questions to confirm the caller’s identity, the practice team member can click directly to the patient’s record. GPs also use Surgery Connect to make telephone triage a lot simpler. Patients wanting a same day appointment are added to the triage list, together with the reason for their request. GPs can work through the list and call them back on the number they want us to use that day, rather than having to trawl through individual records to find the right number. GPs also use Surgery Connect to make telephone triage a lot simpler. Other time-saving features include call queuing and automated call-back. If a patient calls, and are put into a queue, they can request a call-back and still keep their place in the queue; when they get to number one, the system automatically calls them back, saving them the hassle of repeatedly trying to get through to us. The Surgery Connect text service is also being well-used by GP and admin staff. Patients can be contacted directly to let them know to call about test results, or if they need to change an appointment, for example. We also use ‘phone recording, which helps in the training of new members of staff, or if there are any disagreements between what has been said between GPs, patients and even other clinicians. We now have a factual basis on which to resolve any issues. Our dispensary team also saves time. Rather than have to answer patient calls, chasing up their medication, we can now text them to let them know their medication is ready to collect. The system comes with robust business continuity arrangements. While we work at a single site at the moment we know that, if we needed to move to a different building, for example in case of fire, calls can be diverted. If the internet goes down – which is unlikely to happen, given its importance to most modern businesses – calls can be diverted to mobile ‘phones provided by Surgery Connect; this gives great reassurance – although we have never had to use them in the two-plus years we have used the system. Another benefit is that the system also helps us to manage and monitor demand. Automated messages are easy to create using the Surgery Connect GP telephony system. If appointments are full for a particular day, for example, we can log in to the portal to create a message that will be automatically played to new callers. As we are able to easily see the volume of calls coming through we can assign patient services staff to the most pressing tasks, whether that is answering the ‘phones or performing other admin tasks. VOIP calls were once known for poor quality, but that is a thing of the past. Like most practices today, we use a fibre internet connection, and call quality has never been an issue. This is also helped by how our county network is working with the NHS’s N3 connection to manage voice data. The transfer from our old system was seamless. We kept the same telephone numbers, and calls started coming through on the new ‘phone system as soon as BT switched the lines across. Support has been excellent, with a responsive help desk who can answer any questions. X-on – the maker of the system – has also listened to our ideas, so we have been able to develop the service to make it even more useful for the surgery. With so much pressure on everyone’s time, it is pleasing to see technology that helps the team do what they come to work to do – provide the best in care for the communities they serve. Steve Sharpe is practice manager at Montgomery-House Surgery.